Q: What is your favorite kitchen tool? My chef’s knife is probably my most used kitchen tool but my knife would be nothing without my knife sharpener. Some people are intimidated at the thought of a super sharp knife but the truth is that you are far more likely to cut yourself using a dull knife than a sharp one. With a properly sharpened knife, you can quickly and easily slice through vegetables and meats and fillet delicate fish whereas with a not-so-sharp knife, you have to use more force to cut through the same food. When you have to apply more force, you increase the chance of the knife slipping and cutting you instead. Using your knife should be effortless; you shouldn’t have to fight your knife. Sharpeners come in a wide variety ranging from manual sharpening devices, sharpening steels and stones to electric sharpeners. This is a huge topic, way too big to cover here. What’s important is that you choose one that you’re comfortable with and use it regularly. 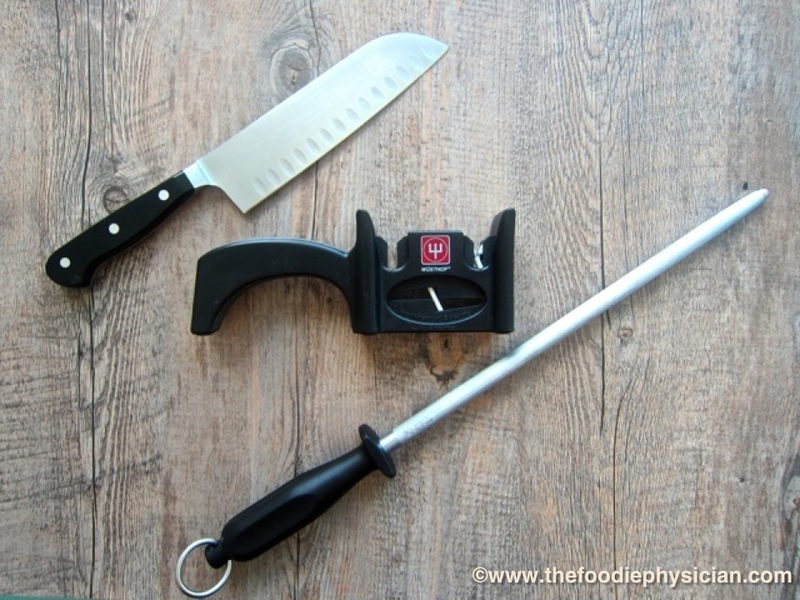 I currently use a manual knife sharpener made by Wusthof periodically to sharpen my knives and a honing steel on a regular basis to maintain the sharp edge. Most people use the juice of citrus fruit to add flavor to dishes but it’s actually the zest that contains the most flavor. The zest of citrus fruit like lemons, limes and oranges, is rich in aromatic essential oils. Adding a little lemon or lime zest to a dish is a great way to add bright flavor and acidity without adding calories. When zesting fruit, remember to wash it first. Using a zester, grate only the colored portion of the peel, not the white pith underneath that has a bitter flavor. Besides citrus, I also like to use my zester to grate aromatics like garlic and ginger, which are staples in Asian cooking. It’s useful when you want to infuse the flavors into a sauce or dish without chewing on any pieces. My zester is also really useful for grating fresh nutmeg (once you do it, you’ll never go back to pre-ground nutmeg) and hard cheeses like Parmesan or Pecorino. 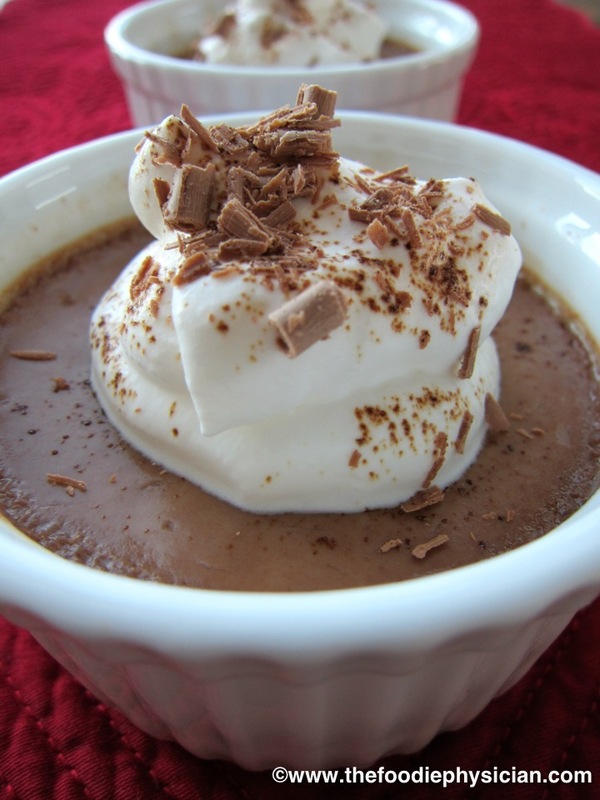 It’s even great for desserts and can be used to create lovely garnishes by grating things like chocolate and coconut. The food often sticks to the back of the zester, so remember to scrape everything from the back of it when you’re done. Before I went to culinary school, I never owned a food scale and now it’s an indispensable item in my kitchen. I use my food scale all the time, especially when I’m developing recipes or baking. When recipe writers list the ingredients for a recipe, they can list the measurements by volume (example: 1 cup) or by weight (example: 8 ounces). Which one is more accurate? The answer is weight. Take for example a recipe that calls for a cup of flour. If you measure out a cup of flour three different times and weigh them, I guarantee you will get three different weights. The amount of flour in the cup depends on how much you’re compacting the flour when you scoop it up and how well you level it off. These slight differences in amounts may not sound like a big deal but they could add up to big changes in your finished product. This is especially true for baked goods, which call for very precise proportions. A slight over-measurement of flour could greatly alter the final texture, leading to a heavier, denser product. 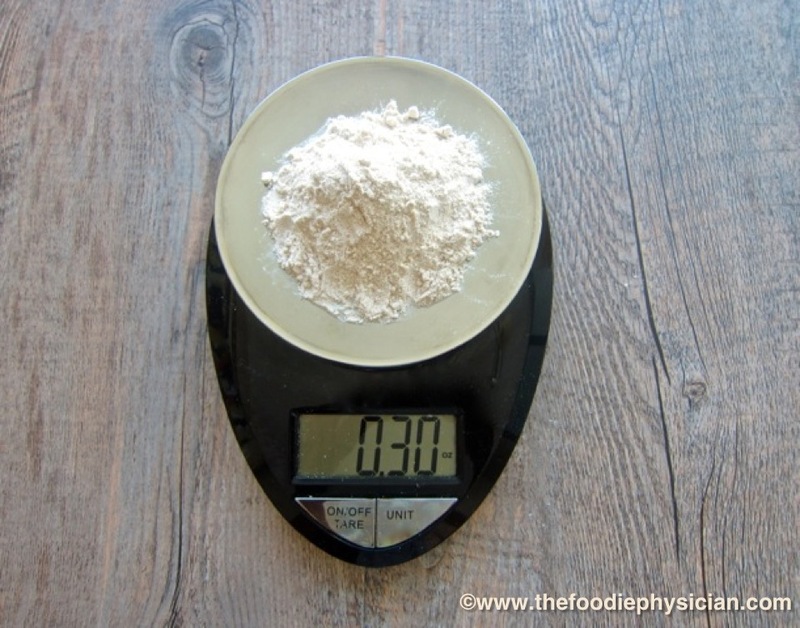 Now if the recipe instead called for 4.4 ounces of flour (which is approximately what a cup of flour should weigh), you could measure out 4.4 ounces on a food scale and you know for sure that you have exactly the amount of flour that you need to create a successful dish. Having a food scale is also a great tool for healthy eating because it gives you an idea of how big your portions should be. For example, a serving of chicken breast is 4 ounces, which is roughly the size of a deck of cards. However, the size of chicken breasts from the grocery store vary widely with many of them being 8 ounces plus. With a food scale, you can take the guessing out of the equation. 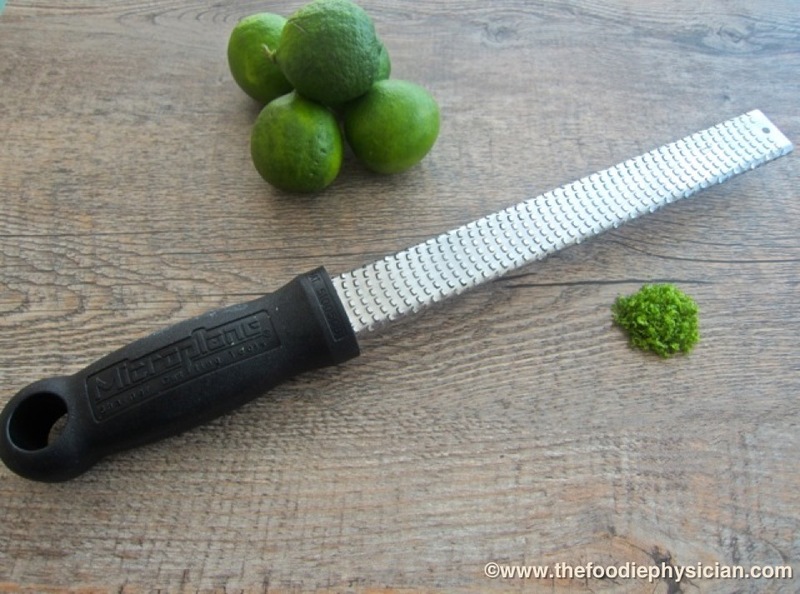 They are not fancy (you can get a good pair for under $10) but they are a great all-around kitchen tool and probably the one I use to cook with the most. My tongs are truly the workhorse of the kitchen. I use them to sear proteins in hot oil, sauté vegetables in a skillet, toss pasta with sauce, turn food on a grill to get perfect grill marks, and pretty much anything else I can think of. What else can you use to grasp hot food with so well? I would be lost without them. They’re essential when browning meat in a pan. After searing the meat for a few minutes, the tongs are the perfect tool to carefully flip the meat over without splashing hot oil on yourself. You should never use a fork or anything that’s going to pierce the meat because then all of the juices will flow out leaving you with a dry piece of meat. 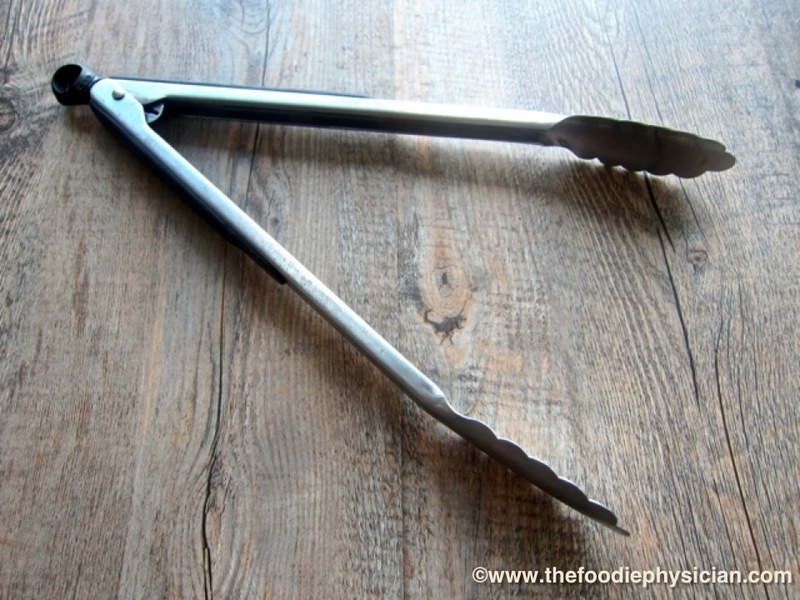 Tongs are also essential for making pasta. The last crucial step in most pasta dishes is tossing the hot pasta in the sauce while it’s on the stove so that the pasta can absorb the sauce. I can’t imagine making one of my favorite pasta dishes, Spaghetti Carbonara, without them. I use tongs to cook fresh greens like spinach or kale, turning them as they cook and wilt down in the pan. I even use them to turn large roasts in the oven to ensure even browning. I have a pair of locking tongs that are great because they stay closed, making them easier to store. Depending on what type of cookware you have, you may need to use tongs with silicone or nylon tips to prevent them from scratching nonstick pans. If you don’t already have a pair, I suggest you go out and purchase some- it will be money well spent. the most important things we learned in culinary school was how to properly season your food. I still remember this lesson from one of my first classes. After pureeing fresh vegetables and herbs in a food processor to make gazpacho, we were told to season it with salt. Every time we thought the dish was properly seasoned, our instructor would tell us to add a little more salt and taste it again. Each time we added more salt, the soup tasted a little better as all of the flavors in the dish came to life. It finally reached a point when adding more salt didn’t improve the flavor anymore and that’s when we knew it was properly seasoned. 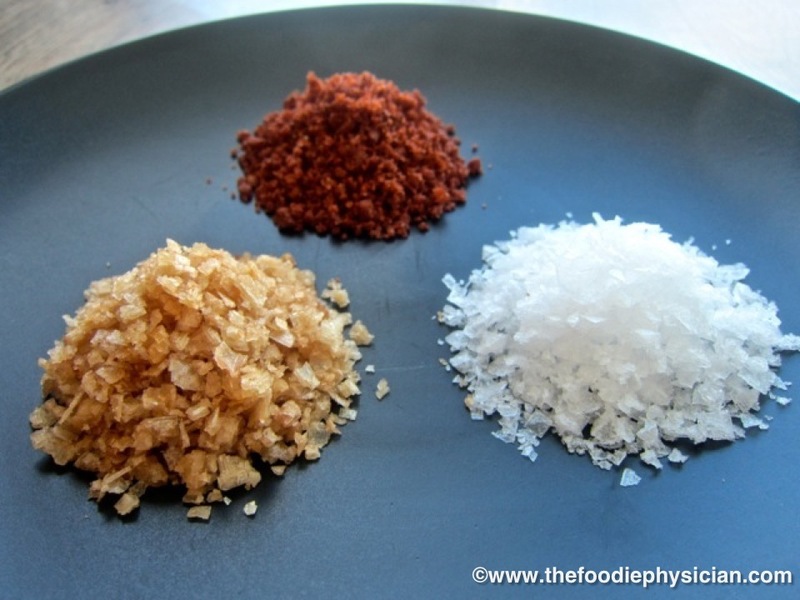 You can create a wonderful, complex dish but it won’t be perfect unless you’ve seasoned it properly with salt because salt brings out all of the other flavors in the dish. Remember to season your food in stages and taste as you go. There’s a reason why Food Network chefs are always talking about seasoning your food in stages to create layers of flavor. of salt in another bowl for seasoning the meat or keep one hand dry for touching the salt and the other hand to touch the meat. Besides my kosher salt, I have an array of finishing salts that I use to sprinkle on a dish right before serving. My latest purchase is a box of flaky, Maldon sea salt. Perhaps if I’m lucky, I’ll get a nice bowl to store it in for the holidays this year (hint, hint). Here are some close runners up that almost made my list: my whisk, food mill, spice grinder, mandoline (also my most dangerous kitchen tool! ), and mini food processor. What are the kitchen tools you can’t live without? Leave a comment and let me know! This is such a great idea for a post, Sonali! 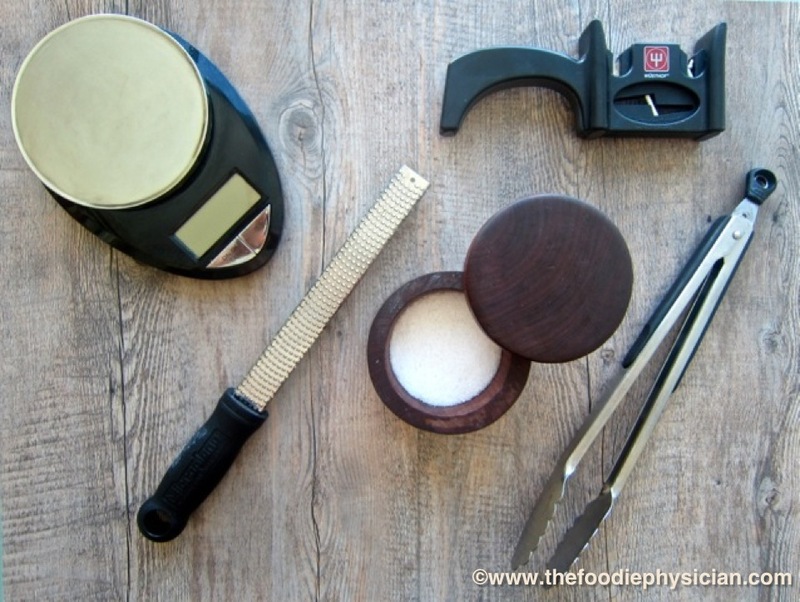 I adore my kitchen scale, too–for all the reasons you mentioned, plus I end up with fewer measuring cups and spoons to wash!! I completely agree with you on the kitchen scale, Sonali! Once I started using one, my baked goods tasted SO much better! The other tool I can't live without is my digital thermometer. I've ruined perfectly good roasts because I left them in too long. I think a lot of people could use some understanding of what carryover cooking is and how it can make OR DESTROY a dish! I have all of these but the salt bowl/cellar. Guess that should be put on my list of things to get. I agree with all but the salt bowl. If I had to I could leave the salt in the box but I couldn't live without my silicone spatulas. I use them for everything from stirring, frying & scraping. I DO love your salt bowl though. I might have to rethink my priorities. I so agree with all of these! I brought my microplane to Israel with me, and picked up a knife sharpener once I got here. I also never used to own a scale but now find it indispensable – it's also super useful when I need to switch back and forth between metric and English measurements. I also can't live without my 3-in-1 mini food processor/immersion blender/electric whisk – I've had it for 5 years and it's traveled across the world with me. Love it! For sure all kitchen needs. 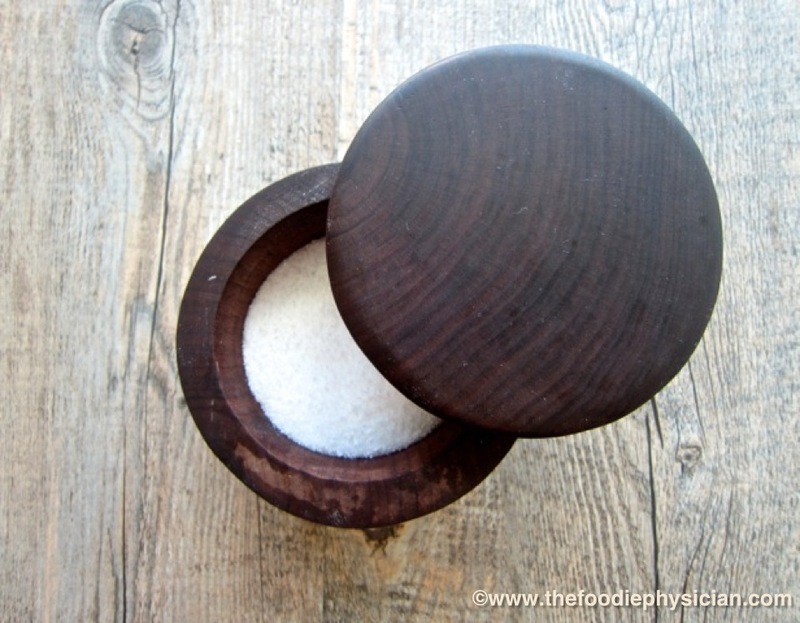 Love your salt bowl, what a nice gift that was. I love the salt container! I agree that the tongs and microplane zester are 2 great tools to have. 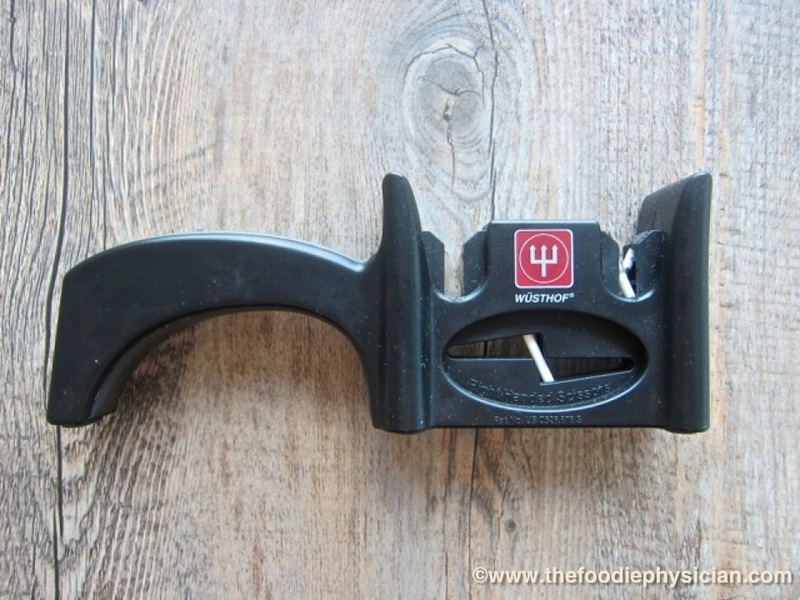 I also like the digital food scale.Do you sharpen your serated knife with the knife sharpener? Great post! I love that you've included the wooden salt bowl. Honestly, there's something unique about seasoning your food using your fingertips instead of a shaker. It's just more traditional that way. One thing I think you should mention in your list of must-have kitchen tools would be a basic kitchen bench stone. It's honestly one of those tools that you think you can go without having, but once you have one and use it to keep all of your blades, knives and other tools sharp you will never look back. Just my two cents! My favorite food processor in the kitchen is the vegetable chopper. Please increase your list by adding vegetable hopper. This tool reduces my kitchen work Love in reading your post. My kitchen needs to be improved with these smart gadgets.